If you’re looking for the best GI doctor in Florida than welcome to our guide where you’ll receive all-inclusive information that will provide all of the information you need. In this write-up, we’ll be providing our top-picks for the best gastroenterologist in Florida in addition to information that will help you learn how to choose the right GI doctor for your condition(s). 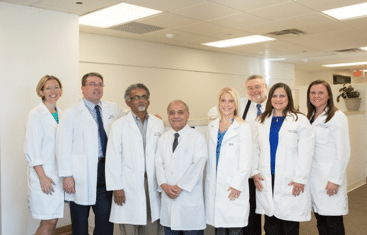 For the purpose of helping you choose among the most experienced and highly qualified GI doctors in Florida, we’ve reviewed the top 15 gastroenterologists within the Florida region so you can conveniently choose among the best; all from one convenient guide. 1 So, what’s a Gastroenterologist? To start, let’s delve in to what exactly a gastroenterologist is and what exactly they provide to patients. Gastroenterologists are medical professionals that perform endoscopic procedures on patients in which they utilize specially made equipment to not only view but diagnose possible conditions or medical complications located within the GI tract. While GI doctors do no perform surgeries they may however, in some cases, work alongside a medical professional known as a “GI surgeon” although this isn’t all that common. Primarily, gastroenterologists are stationed in either individualized clinics (private practice) or in a hospital environment (where GI doctors are more likely to work alongside a surgeon if their presence is required). Any internal body part(s) or organs that are related to any of these processes is treatable by a gastroenterologists as they’re trained medical professionals that have received specialized and certified training in the diagnosis and treatment of medical conditions or complications related to the gastrointestinal tract. Surprisingly, the mouth is considered to be a part of the GI tract oddly enough although a majority of gastroenterologists do not treat this area. Rather, a majority of individuals seek a dentist or are referred to the dentist by either their GI doctor or family practitioner. 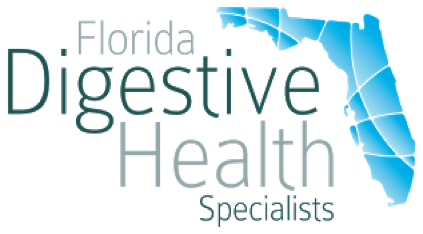 When it comes to your gastrointestinal health, choosing an established, reputable and affective GI doctor in Florida is the pivotal point between you receiving or not receiving the individualized and affective treatment that your gastrointestinal health requires. Being first on our list is Dr. Vikram Tarugu, a Florida-based award winning medical professional with over 4,000 successfully treated patients throughout his career as a GI doctor which began over 20 years ago. Dr. Tarugu is focused on providing top-notch procedural treatments to patients suffering from digestive health complications and accomplishes this thru the use of cutting-edge medical technology which he’s equipped with to provide patients with the best chances of recovery. Because of his proficiency and contributions to the medical community; Dr. Tarugu has been awarded with multiple awards including the “Compassionate Doctor Award”, the “On-Time Doctor Award”, and the “Patients’ Choice Award” (a highly sought after reward that requires near-perfect scores provided by patients). 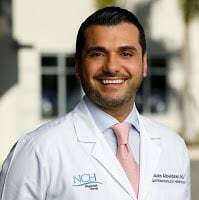 Because of such experience and recognitions he’s considered to be the best GI doctor in Florida and provides his gastro services from his privately owned clinic located in South Florida. As an advanced digestive health expert, Dr. Tarugu provides treatments for “all” complications related to the digestive system and provides innovate, non-evasive treatment options (such as his laser hemorrhoid removal procedure). Because of his expertise and ability to accurately diagnose/treat conditions he’s a nationally recognized digestive health expert with both local and international patients with some even traveling from abroad to take advantage of his treatment success. With over 2,000 successfully performed surgeries across his 4,000+ treated patients it’s no wonder why patients flock to Dr. Tarugu and his treatment facility as “treatment success” is the “top priority”. Dr. Mazen Albeldawi is a top-rated, Florida-based gastroenterologist practicing in Naples, Florida. 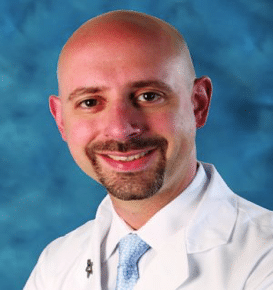 With a hard-earned medical degree issued from the “Ross University School of Medicine” and 10 years of practice in the field, he’s earned his spot among the best gastroenterologists in Florida due to his experience, treatment success rate, and great reputation in the medical community. Just to name a few of the many conditions that Dr. Mazen Albeldawi provides treatment for. To strengthen his experience, expertise and relationships with others he’s also partnered with the “NCH Downtown Naples” hospital where he renders his gastroenterology treatment services. Furthermore, he’s also one of only 20 GI doctors that are in partnership with this hospital and has achieved a 5-star rating on “RateMD” (an online resource for patients to give ratings to medical professionals). 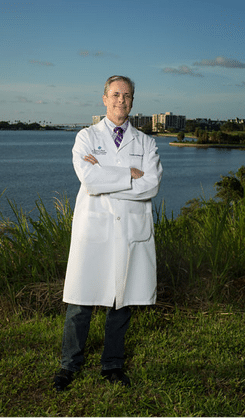 Dr. Jerry Martel made it in to our “Top Gastroenterologists in Florida” list as he’s one of the top-rated GI doctors in the south Florida Miami district. With graduating from medical school in 2003 and having partnerships with multiple hospitals such as the “Baptist Hospital of Miami”, Dr. Jerry Martel has revived the Miami medical community thru the use of innovative treatment approaches that are evidence-based and proven to “work”. With more than 15 years in the field of being a gastroenterologist, Dr. Martel has fostered incredible relationships with patients and has formed amazing partnerships with doctors, local specialists and a few medical groups (one of which being the “Gastro Health LLC” medical group). Just to name a few of the 50+ conditions that Dr. Jerry Martel provides treatment for. If you’re located in Miami or the South Florida region and are seeking medical intervention from a specialist (gastroenterologist), then contact Dr. Jerry Martel to schedule an interview for superior support and treatment. Dr. Jerry Martel’s office hours are 8:00 AM – 5:00 PM, Monday thru Friday (closed on the weekends). 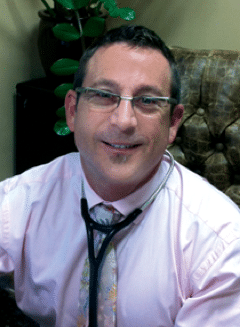 Dr. Hillel D. Cohen is a proficient gastroenterologist serving patients in the south Florida area. Serving as a GI doctor/specialist since 2009, Dr. Hillel D. Cohen is licensed and board-certified in both internal medicine and gastroenterology. Dr. Hillel D. Cohen earned and obtained his medical degree from the prestigious “Wood Johnson Medical School” where he received not only his residency but his community fellowship as well. Prior to relocating and providing gastroenterology treatment(s) in Florida he was practicing in a privately owned clinic located in New Jersey. He’s a proactive medical professional with multiple clinical research studies completed with various publications with conclusions on his research. His most noteworthy write-ups included coverage on topics on “inflammatory bowel disease”, “Chron’s diseases”, and GERD (Gastroesophageal reflux). In an effort for his knowledge to be shared such publications were made to help educate others on various conditions. He’s had an incredible success rate at the removal or hemorrhoids thru the use of non-surgical procedures. 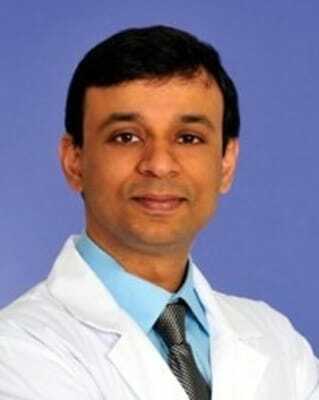 He’s become quite proficient at the techniques of gastroenterology treatment and aims to provide treatments that are free of complications and pain. He’s frequently relied upon for treatment from patients for the treatment of colon cancer (and prevention treatment), reflux diseases, Barrett’s esophagus, celiac diseases, diarrhea, constipation, ulcerative colitis and disease of the liver. He’s a proactive member of the clinical staff at the Boca Raton Regional Hospital and at the Delray Medical Center. Furthermore, he’s also an astounding member of the “Alpha Omega Alpha” group which is the “honors society” for medical doctors. If you’re located in the Boca Raton/Delray area and want top-notch treatment from an understanding, compassionate and knowledgeable doctor then contact Dr. Hillel D. Cohen today! Dr. Alison J. Schneider is a top-rated, 4.8-star gastroenterologist (source: WebMD) serving patients at the Cleveland Clinic located which is locating in Weston, FL. Serving as a board certified GI doctor/specialist since 2001; Dr. Alison J. Schneider is licensed in both internal medicine and gastroenterology and provides individualized gastroenterology treatments to her patients. 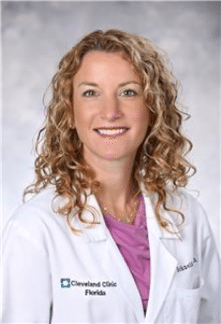 Dr. Alison J. Schneider earned her degree from both the “University of Miami” and the “Miller School of Medicine” and graduated in 2001 where she received her residency in addition to completing the “GI fellowship”. Dr. Alison J. Schneider is a Florida native and serves patients at the Cleveland Clinic; a highly respected medical treatment facility. Dr. Alison J. Schneider also provides treatments for 27 different diseases and conditions some of which include Achalasia, Anemia, Ascites, Autoimmune Chronic Hepatitis, Barrett’s Esophagus Bowel , Incontinence, Celiac Disease (Celiac Sprue), Collagenous Colitis, Colon Polyps, and Colorectal Cancer. She’s had an incredible success rate when it comes to patient’s satisfaction, treatment and recovery and in many cases can provide affective treatment(s) to patients that will be non-surgical. Thru her years of extensive medical training and in-the-field experience, Dr. Alison J. Schneider is a GI doctor that has the needed experience to treat “any and all” gastrointestinal complications. Dr. Schneider is commonly visited by patients for the treatment of IBD (Inflammatory Bowel Disease), colon cancer prevention, reflux diseases, Barrett’s esophagus, celiac diseases, diarrhea, constipation, ulcerative colitis and liver disease. If you’re located within the Ft. Lauderdale area and affective treatment from an understanding, compassionate and knowledgeable GI doctor then contact Dr. Alison J. Schneider for your medical treatment needs! Dr. Henry Levine is one of central Florida’s most respected gastroenterologists providing high-qualty gastro treatments at the “Center for Digestive Health” which is situated in Orlando, FL. Serving as a board certified GI doctor/specialist for 42 years; Dr. Henry Levine is licensed in both internal medicine and gastroenterology accepts insurance as coverage from over 15 insurance companies. Dr. Henry Levine attained his degree from the “Johns Hopkins University School of Medicine” and graduated in 1976 where he received both his residency and fellowship”. Dr. Henry Levine is a native to the central Florida area and serves patients at the “Center for Digestive Health” and Central Florida Hospital (his partnerships). Dr. Henry Levine has perfected his treatment approaches and regularly works with patients to tackle medical conditions that include Gastroesophageal Reflux Disease (GERD), Inflammatory Bowel Disease (IBD), and Pancreatic Cancer also. When it comes to assessing a patient’s condition and knowing what treatment option(s) would be most affective no one can formulate a better treatment plan better than Dr. Levine! Thru extensive hands-on medical training and years of treatment experience, Dr. Henry Levine is a GI doctor that’s often time relied upon by the local Orlando community for the treatment of complications related to the gastrointestinal system. The most frequents treatments that Dr. Levin administers are treatments for GERD, Pancreatic Canceralso, and IBD. If you’re located within the Orlando region and are seeking a gastroenterologist that not only has exceptional experience but accepts multiple insurance companies then contact Dr. Henry Levine today. Dr. William Ruderman one of Florida’s top-rated gastroenterologist and provides gastroenterology treatments in Orlando, Florida. 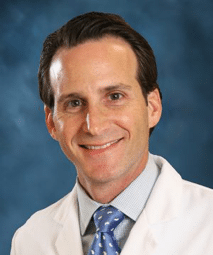 Serving the local Orlando community as a GI doctor/specialist since 1995, Dr. William Ruderman is licensed and board-certified in both internal medicine and gastroenterology which was obtained from “Columbia University”. Dr. William Ruderman earned and obtained his medical degree from the “Internal Medicine at Emory University” school where he completed a 3-year residency. Upon his completion of his fellowship in Gastroenterology (in Colorado) he became a member of the “Cleveland Clinic” in Ohio. In 1998, Dr. William Ruderman earned the title as “Chairman” of the “Investigational Review Board” which is located in Ft. Lauderdale which was accomplished thru his extensive training, effective treatments and passion for gastroenterology care. He’s a diligent and hardworking Gastroenterologist now serving patients at his privately owned, Orlando-based clinic: the “Center for Digestive Health”. Dr. William Ruderman is also well-known for his use of non-surgical treatment approaches that ultimately make the treatment and recovery process as painless as possible for patients (one of the main reasons he’s been nominated for this list). Dr. Ruderman has innovated the treatment techniques that are administered and prioritizes treatments that are free of side effects, complications, and pain. He’s frequently relied upon for treatment from patients that are suffering from colon cancer and IBS (Inflammatory Bowel Disease). He’s an active and starred medical professional of the clinical staff at the “Center for Digestive Health” which is located in central Florida. If you’re located in the Orlando area and have been looking for a gastroenterologist that will take the time to understand your condition and treatment needs then consider choosing Dr. William Ruderman! When it comes to choosing the best Gastroenterologist in Florida there are many components that are taken in to consideration some of which consider the length of time the Gastroenterologist has been providing treatments and also the GI doctor’s success rate at treating various conditions. With that said, next on our list is Dr. Moshe Hirth; a 21-year proficient Gastroenterologist providing treatments in Delray Beach, Florida that has established an affiliation and relationship with multiple hospitals within the area. These award-winning hospitals that Dr. Moshe Hirth has partnered with include the “Boca Raton Regional Hospital” and the “Delray Medical Center”. 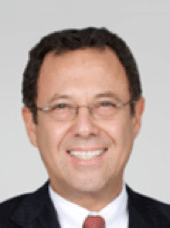 With having obtained his medical degree from the prestigious “New York Medical College” in addition to his 20+ years of in-field experience; Dr. Moshe Hirth has become one of Florida’s best go-to gastroenterologists for affective, individualized and specialized forms of treatments for any gastrointestinal related complications. Furthermore, Dr. Hirth, thru his years of experience, has learned how to affectively provide treatment solutions for an array of medical conditions that don’t involve the use evasive surgery practices. Rather, he makes use of many non-surgical treatment options which results in a treatment and recovery process for patients that is as pain-free as possible. 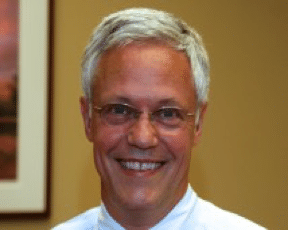 Dr. John C. Southerland is a digestive health expert and proudly serves as a Gastroenterologist in Sarasota, Florida. What determines how affective a GI doctor is largely in-part determined by the amount of education and training that the doctor receives and Dr. John C. Southerland has no shortage of experience! With having earned a spot on the “Top 10 Physician Role Model of Year” list: Dr. Southerland has obtained multiple certifications during the birth of his career as one of the best Gastroenterologists in Florida with receiving an “American Board of Internal Medicine” certification from 1999-2009, an “ABIM-Subspecialty Board Examination” certification from 2002-2012 and the ECFMG (Educational Commission for Foreign Medical Graduates) certification as well. As such, throughout his years, he has served thousands of local and international clients thru the use of cutting-edge medical technology that equips him with the essential tools needed to execute affective treatments. As such, throughout his years, he has served thousands of local and international clients thru the use of cutting-edge medical technology which equips him with the essential tools needed to fulfill affective treatments. Dr. Southerland renders treatment for a variety of digestive health complications at his privately owned clinic in Sarasota where patients enjoy a comfortable and peaceful environment. Dr. Southerland understands the individualized needs of his patients and will sit down for a one-on-one consultation so he has an understanding of the patient’s needs, discomforts, pains and symptoms. If you suspect that you’re having digestive health related issues and want to seek counsel, intervention and treatment from a board certified and experienced GI doctor, then contact Dr. John C. Southerland. Dr. David Hellman is a digestive health specialist and has been practicing in the field of gastroenterology since 2003. Initially providing gastrointestinal from his privately owned clinic he has since been adopted by the “Borland Groover Clinic” who recognized his tremendous success and contributions to the medical community. 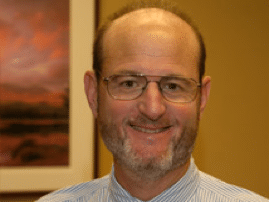 Dr. David Hellman has attained certifications from the “American Osteopathic Board of Internal Medicine” in 2005 and the “American Osteopathic Board of Internal Medicine” in 2003. He attained is professional education from the well-known “Tulane University” and achieved the “Bachelor of Science” degree in biology. Upon completion of his education he attended the residency program offered at the “University of Florida”. He’s one of the best GI doctors in Florida due to his incredible passion, treatment effectiveness and experience which is apparent due to his position as the “Chairman” of the “Endoscopy Department” at the Bethesda Hospital in Boynton Beach. He’s also an active and contributing member of the “Nova Southeastern University” medical staff. He’s been a part of many clinical associations including the American College of Gastroenterology, American Society for Gastroenterology Endoscopy, American College of Osteopathic Internists, American Osteopathic Association, Palm Beach Medical Society, and the National Eagle Scout Association. Aspiring to provide patients with top-notch care that has proven time and time again to be affective in the past is the foundational focus of the care administered by Dr. David Hellman and any individuals who are experiencing symptoms of what could be a gastrointestinal complication are highly recommended to contact the best gastroenterologist in Florida: Dr. David Hellman! Dr. Katherine Kosche is a top-rated gastroenterologist originating from Chicago that now resides and treats patients in Pembroke Pines, FL. serving patients at the Cleveland Clinic located which is locating in Weston, FL. Serving as a board certified GI doctor/specialist for over 15 years; Dr. Alison J. Schneider is licensed in both internal medicine and gastroenterology and provides individualized gastroenterology treatments to her patients. 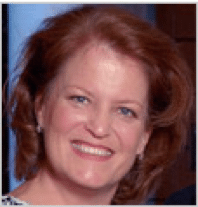 Dr. Katherine Kosche earned her degree from both “University of Illinois” and “Columbia University” and graduated in 1989 where she received (after completing her residency). Dr. Katherine Kosche is now a proud Florida native and promotes gastro health treatments from her privately owned practice named the “Center for Gastroenterology”; a local and successful facility that aids patients to overcome digestive health complications thru strategically designed treatment plans (administered by Dr. Kosche). Dr. Katherine Kosche and her gastro treatment center are considered to be one of the best in Florida as her practice provider an entourage of treatments/services for an all digestive diseases which include colitis, irritable bowel syndrome, GERD, ulcers, and Crohn’s diseases. To provide patients with the upmost care and affective treatments, she’s regularly participating in clinical trials and is a proud member of the “Broward Research Group”. During her clinical trials she challenges the limits of treatment opportunities and works diligently to formulate new and affective treatments for gastrointestinal diseases/conditions. With practicing as a gastroenterologist since 1996, Dr. Katherine Kosche understands the treatment needs of patients and has the track record to prove why she’s among the best gastroenterologists in Florida. Her success as a GI doctor and the success that her treatments have provided are signals of why she’s a starred member of the “Memorial Healthcare System” and why she’s the preferred GI doctor to conduct procedures at the” Weston Outpatient Surgical Center”. With years of experience, many successfully conducted clinical trials and thousands of treated patients; Dr. Katherine Kosche is definitely the gastroenterologist to see for Pembroke Pine residents that want to put their gastrointestinal health in the hands of someone who can make a difference. 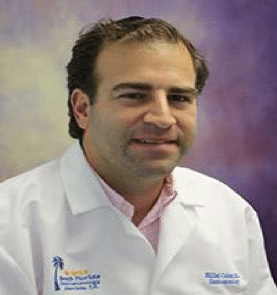 Dr. Louis Aviles is one of Florida’s most awarded and experienced GI doctors having gained an extensive education from the “Herbert G. Lehman College” in New York (his native state). With a hard-earned degree from the “Harvard Medical School” Dr. Louis Aviles now focuses on providing gastrointestinal healthcare from his privately owned treatment facility located in Clearwater, FL. Upon completion of his Harvard-issued medical degree, he returned to New York to obtain his residency training which took place at the “Montefiore Medical Center” while he completed his gastroenterology fellowship training at the “Bronx V.A./Mount Sinai” center. Dr. Louis Aviles is passionate about the gastrointestinal healthcare field and believes that his treatments should be available to all patients which is why he accepts insurance from an array of various coverage providers including Aetna Choice POS II, Aetna HMO, AvMed Health, Open Access, BCBS Blue Card PPO, BCBS Florida NetworkBlue, and BCBS Florida Preferred Patient Care PPO (just some of the 21 insurance companies in total that he accepts). Dr. Louis Aviles has had massive success when it comes to the satisfaction, treatment and recovery of his patients and achieves this thru his innovative, forward-thinking treatment approaches (such as his non-surgical hemorrhoid removal treatment). Thru Dr. Avile’s years of extensive medical training from some of the most prestigious medical schools in the country, Dr. Louis Aviles has become the go-to Florida GI doctor that has the essential treatment knowledge needed to treat any gastrointestinal complications. While Dr. Avile treats “any and all” complications related to the digestive system, a majority of patients visit his treatment center to receive treatment for IBD (Inflammatory Bowel Disease), colon cancer prevention services, reflux diseases, Barrett’s esophagus, and liver related complications. Dr. Andrew I. Sable is a 5-star rated gastroenterologist on WebMD and currently provides treatment to patients at the “Baptist Hospital of Miami” and the “South Miami Hospital” with superior gastrointestinal health diagnosis and services. Serving as a board certified GI doctor/specialist since 1998; Andrew I. Sable is licensed not only in internal medicine but gastroenterology as well and provides specialized forms of gastroenterology treatments to his patients. Over the years Dr. Andrew I. Sable has continually strived to improve his treatment approaches and has been affective at utilizing his extensive training experience to administer treatment for various medical conditions that include Gastroesophageal Reflux Disease (GERD), Inflammatory Bowel Disease (IBD), and even Pancreatic Cancer. Dr. Andrew I. Sable prides himself and his clinic in offering gastrointestinal health treatments in an environment that not all clinics offer. With a comfortable, peaceful, and relaxing atmosphere patients will feel as if they’re at home and will enjoy the friend and understanding personality that Dr. Andrew I. Sable extends to all patients. 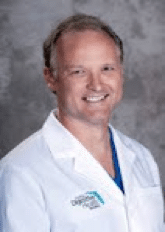 What makes a GI doctor the best in Florida is their experience, training in the field, and their patient support and recovery success and Dr. Andrew I. Sable has bee, able to accomplish all of these component that make-up a great medical professional. Whenever it comes to assessing a patient’s condition; it’d be hard-pressed to find another that doctor can diagnose conditions as accurately as Dr. Andrew I. Sable as he’s very received specialized training to learn the various symptoms and signs of gastrointestinal medical complications. Regardless of what symptoms or gastro issues you may have Dr. Sable will have a solution as he provides many treatments to his patients including Capsule Endoscopy, Colonoscopy, ERCP, Esophageal Ablation, Flexible Sigmoidoscopy, Hemorrhoid Banding (CRH), Manometry – 48 Hour pH, Peg Placement and Upper Endoscopies. Your primary care doctor may recommend a visit to a gastroenterologist if you are persistently bothered by digestive health issues. A gastroenterologist or a gastrointestinal doctor (GI) specializes in diagnosing and treating disorders of the gallbladder, bile ducts, stomach, esophagus, small intestines and colon. Some gastroenterologists focus primarily on motility disorders which deal with the movement of food, liquid and waste through the digestive system. Since the recommendation to see a gastroenterologist will come from your primary care doctor, they make one of the best resources in helping you choose a good one. You can also get referrals from family members, friends and other healthcare providers. Don’t just go with the first recommendation you get, but make a list which you will vet further before you make your final choice. With the list you obtained above, the next process is to dig for valuable information on the doctor’s profile with regards to their education and training. With the current digital age, most doctors will avail their credentials online, detailing their qualifications, awards, professional interests and any other information that a potential patient may need before visiting. For instance, if you needed a GI who specializes in motility studies, you could easily see this from their credentials which you can then use to narrow down your list. The gastroenterologist’s experience is essential because the more experience they have the greater the chances of receiving better results. Of great concern to you should be the number of patients with your condition they have treated in the past or if a specific procedure is needed, then how many have they performed in the past and what was the complication rates. While looking into the complication rates, you should also discuss both the complications the doctor has encountered while handling similar cases to yours as well as your risks of complications. For example, Dr. Tarugu has performed over 2,000 surgeries across a patient base of 4,000 individuals since the birth of his GI career and his success is quite impressive. Visiting such a digestive health expert will help to ensure you receive adequate and successful treatment. The doctor’s treatment facility will be your go-to center, and due to this, it is imperative to look into the quality of care provided by that facility. Quality matters because patients at top-rated facilities usually experience fewer complications and they have better treatment-success rates. It is such a place where you want to be treated, especially if your condition involves a surgical procedure, where high-quality, post-surgery care may be needed. It is vital to get treatment from a gastroenterologist with whom you are comfortable receiving treatment from. During your first appointment, be sure to ask questions and notate any of their responses. The ideal doctor should be open to your questions and respond in a simple but clear manner that will ensure you understand the answer. You should not feel rushed or engaged, and they should demonstrate they are interested in knowing you more and helping you consider every treatment plan available for your condition. Dr. Tarugu as an example sits down with patients for a one-on-one interview to fully assess and understand their condition(s), discomforts and symptoms (which will help him to determine the course of action for diagnosis and treatment). Finally, check your insurance coverage for the specific details. To get the maximum benefits from the cover, you should pay the least out-of-pocket for your treatment, and it is recommended that you choose a gastroenterologist who participates in your health insurance plan. Just call the doctor’s office to find out if they accept your insurance coverage. Gastroenterologists who really want their treatments to be available to all patients usually accept insurance from most providers. GI doctors such as Dr. Vikram Tarugu accepts insurance from 26 different insurance companies some of which include Humana Medicaid, Medicare, Medicaid, and Cigna HMO (just to name a few).